The School of Law at the University of Missouri-Kansas City is one of the best in the nation at preparing students for Trial Advocacy and Legal Writing, according to new rankings released today by U.S. News & World Report. 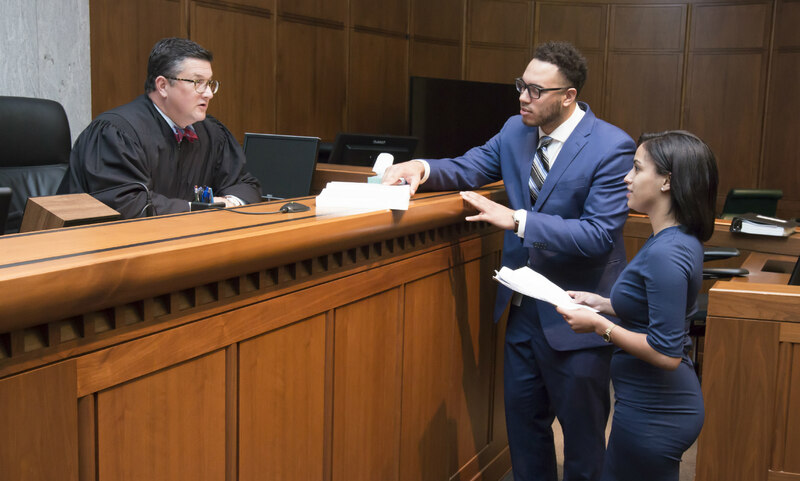 According to U.S. News, UMKC Law is ranked 27th in the country in Trial Advocacy, tied with the University of Virginia, the University of Texas-Austin and Syracuse, among others. UMKC was ranked ahead of Harvard (34th), Duke (35th), Columbia (60th), Stanford and Yale (both 76th). “Trial Advocacy is more than just public speaking in the courtroom – it is a skill that requires understanding and translating a client’s story into a persuasive narrative that must fit the constraints of the formal rules of evidence and procedure,” said Barbara Glesner Fines, dean of the UMKC School of Law. In Legal Writing, UMKC Law was ranked 20th in the nation, ahead of Boston College (29th), Ohio State (37th), Duke (42nd) and Washington University of St. Louis (52nd). The overall ranking for the UMKC School of Law was 108th in the country, up from 119th last year and 123rd in 2017. In reputational ranking, which is based on surveys of attorneys and judges, UMKC School of Law ranks in the top 100 in the country. According to U.S. News & World Report, graduates from the top law schools have consistently high bar passage and employment rates, among other factors.